Such a discovery was made possible using a modern technology called LiDAR (“Light Detection And Ranging”). One of the archaeologists from the survey, Thomas Garrison, explained that LiDAR is able to find structures by pulsing lasers from a plane at the ground and returning measurements of the wavelengths that return. These measurements help to construct detailed three-dimensional pictures of the topography of the land. He also mentioned, though, that the technology is unable to sort features from the time period they belong to, so in the case of the Maya ruins he and his team uncovered, it is like seeing the history of 3,000 years compressed into one picture (BBC News 2018). Even so, the discovery suggests the former notion that there were only about five million people living in this region of Guatemala might be a huge underestimation; investigators think that it is more likely that there were 10 to 15 million people. This recalculation would make Mayas from the classic period (about A.D. 250-900) on par with the size of ancient societies like the Greeks or Romans. The remains which the team is now sorting through show, to the surprise of many, that the Maya are not only comparable in size to ancient European civilizations, but that they also created a wealth of modern infrastructure that proves the Maya people were just as advanced as their counterparts. Among these findings are raised highways, quarries, complex irrigation and terracing systems, which all made it possible for the Mayas’ swampy Central American home to support such a large population (Clynes 2018). Such a finding begs the question, though, of why the Maya civilization is so often portrayed as a lesser society; for years, a number of false stereotypes have marred the indigenous peoples of Latin America as an unrefined nation lacking the inventive flair of other societies of the time. Such beliefs are seen just as often in the scholarly field as in popular culture; in 2007, Mel Gibson released his box office hit, Apocalypto. Despite showing “...the Mayans as a barbarous, murderous people that can only be saved by the arrival of the Spanish,” according to Ricardo Cajas, Guatemala’s presidential commissioner on racism, there was very little outcry from anybody outside of Central America (The Guardian Staff 2007). It is worth considering the eurocentric framework of the U.S. school system, which tends to place an emphasis on European history and its ties to the development of the United States above all other nations. Despite its geographical closeness to the U.S., Latin America and its has been systematically reduced to a secondary topic, leaving not just the Maya, but all of the ancient civilizations of Latin America in the shadows. While schools often combine peoples as varied as the Aztecs, Olmecs and Maya into one due to somewhat restrictive curriculums, classes across the United States delve into lengthy presentations which highlight the achievements of the European civilizations. Whereas Incas and Maya are little discussed or seen as one, one would be hard pressed to find a student who sat through a history class in the U.S. and did not learn the differences between Spartans, Trojans, and Athenians. This uneven approach to world history seems like a “chicken or the egg” problem: is there less information about ancient civilizations in Latin America, like the Maya, so more readily available history is studied instead? Or is there less artifacts and information about the Maya because scholars and researchers have focused all energy and resources on other regions? The answer could be a little bit of both. Now, it is critical that researchers recover as much of the Maya history as they can before it is lost - not just to the natural elements, but to looters who have stumbled upon Mayan ruins without the help of LiDAR. This most recent discovery was found to have already been picked away by modern looters, who dug thousands of pits into the site (Clynes 2018). Such practices are common across Mesoamerica, with antiquity trading dating back to the Spanish conquest. However, looting was slowed down by the arrival of archaeologists in the 20th century, only to pick up again at an even faster pace when scientists had to leave their discoveries during civil wars that plagued the region (Vance 2014). With several million diggers ravaging just Guatemala’s historic sites alone, it is a race against the clock for researchers and the countries they study across Latin America to protect the secrets still buried there. It is clear that there is still much, much more to learn. Clynes, Tom. 2018. 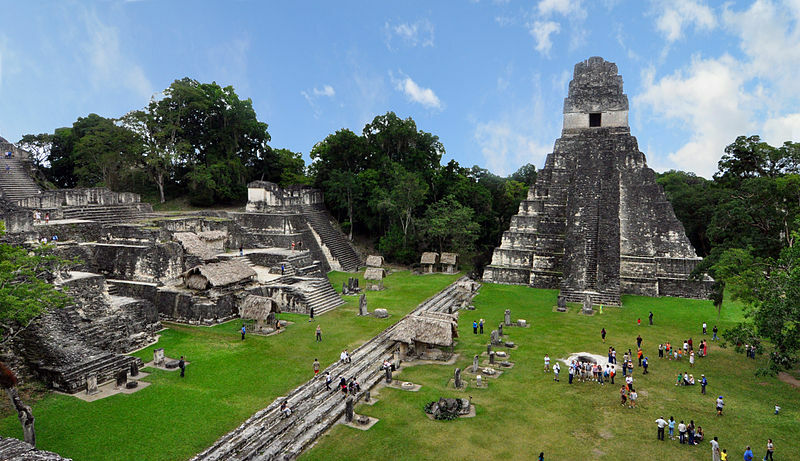 “Exclusive: Laser Scans Reveal Maya “Megalopolis” Below Guatemalan Jungle.” 1 February. National Geographic. Available to read here: https://news.nationalgeographic.com/2018/02/maya-laser-lidar-guatemala-pacunam/ [Accessed 8 February 2018]. BBC News. 2018. “Sprawling Maya network discovered under Guatemala jungle.” 2 February. BBC News Latin America. Available to read here: http://www.bbc.com/news/world-latin-america-42916261 [Accessed 8 February 2018]. The Guardian Staff. 2007. “‘Racist’ Apocalypto accused of denigrating Mayan culture.” 10 January. The Guardian. Available to read here: https://www.theguardian.com/film/2007/jan/10/news.melgibson [Accessed 20 February 2018]. Vance, Erik. 2014. “Losing Maya Heritage to Looters.” 10 August. National Geographic. Available to read here: https://news.nationalgeographic.com/news/2014/08/140808-maya-guatemala-looter-antiquities-archaeology-science/ [Accessed 8 February 2018].